George Takei is coming to AMC. Today, the network announced the Star Trek star has joined season two of The Terror. An anthology drama, season two of The Terror “centers on a series of bizarre deaths that haunt a Japanese-American community, and a young man’s journey to understand and combat the malevolent entity responsible.” The cast includes Derek Mio, Kiki Sukezane, and Miki Ishikawa. On season two of The Terror, Takei will be playing “Yamato-san, a former fishing captain and community elder.” Takei will also serve as a consulting producer. 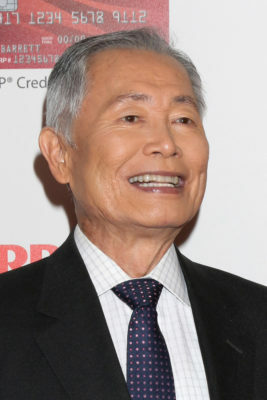 NEW YORK, NY – December 18, 2018 – AMC announced today that renowned actor, producer, author and activist George Takei (“Star Trek”) will join the second season of the critically acclaimed, Ridley Scott-produced anthology series, “The Terror,” as a consultant and series regular. The network previously announced actor Derek Mio will star in the series as Chester Nakayama and Josef Kubota Wladyka (“Narcos”) will direct the first two episodes. Production is scheduled to begin in January in Vancouver. Season two will air on AMC in 2019 with ten episodes. What do you think? Did you see season one of The Terror? Will you watch season two? More about: AMC TV shows: canceled or renewed?, The Terror, The Terror: canceled or renewed?